Ask a hunter about the trophy mounted on the wall, sitting on a table or neatly placed in a cabinet, and a story will unfold — of outdoor experiences, an important hunt and deeply held values. The term “trophy” generally refers to a large game animal that has been mounted, but any particular mount has a story to tell. It’s a snapshot in time of being in the field and putting food on the table. It’s not always large game, either; many have mounts of smaller animals such as waterfowl, quail, pheasants or squirrels. Above: Jared Jaramillo assists Game and Fish biologist Eric Rominger as he prepares to take measurements. A trophy animal generally refers to a large male animal and, minus for a few exceptions, it is a violation of law to waste game meat. NMDGF photo by Martin Perea. But, suggesting only mounted animals are worthy of “trophy” status would be inaccurate. Many consider the hunt itself, whether successful or not, to be the trophy. The experiences and adventures of being outdoors is the real prize. A hunt can be alone or with family or friends, enjoying time away or just enjoy-ing the sounds only heard when a person ventures into the wild. The term is not always viewed favorably, but visiting a taxidermist following a hunt doesn’t mean an animal went to waste. Filling a freezer with meat following a hunt and having a mount made are two out-comes from a single hunt. 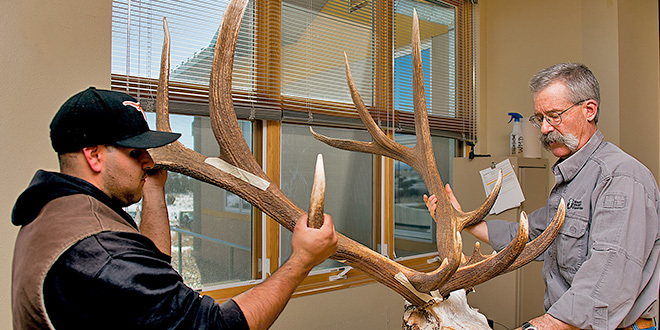 Many of those large males are older and have the largest antlers or horns, but many are nearing the end of their lives and some might not survive another harsh winter. Hunting also serves as an important management tool, with the number of animals removed based on survey counts. Whether it be big game or small, and regardless whether the animal is mounted or just the meat removed from the field, a hunt is about connecting with nature and making memories that last a lifetime. “Hunting large antlered or horned animals has a long, honorable history behind it,” Goldstein said. That history has paved the way for wildlife agencies to act on behalf of the animals, both game and nongame species. Wildlife is more abundant today than a century ago, and those dollars paid to hunt are the reason for such diversity. Since the advent of modern wildlife management practices, not a single, regulated big-game species has gone extinct in the United States. Hunting dollars pay for conservation, which grows increasingly difficult as humans continue to impact the environment. 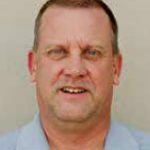 As a result, conservation efforts, such as bringing elk and bighorn sheep back to New Mexico, is funded heavily by sports-men and women purchasing a license, fire-arms, ammunition and archery equipment. 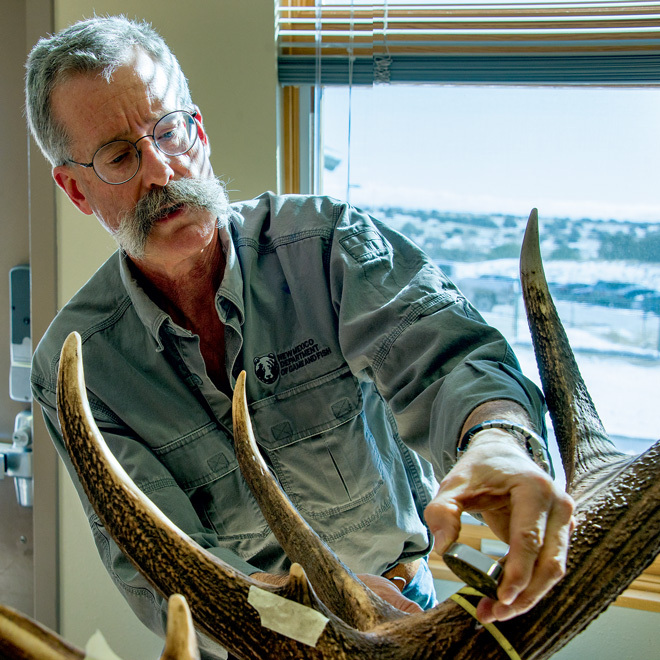 Above: Game and Fish biologist Eric Rominger takes elk antler measurements. While it was a large rack, the measurements came up short of the record book minimum. NMDGF photo by Martin Perea. 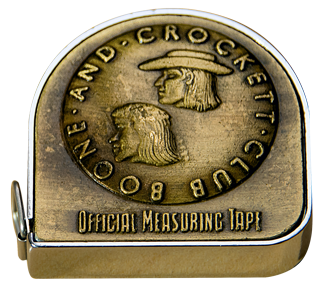 Below: Official measuring tape of the Boone and Crocket Club. Whether it’s phrased as hunting for meat or trophy hunting, the benefits extend well beyond the boundaries of wildlife conservation and into communities. Hunters often travel long distances for a hunt and the money they spend trickles down and impacts many. Those “trophy” dollars are invested in true conservation, where biologists and dedicated volunteers get bruised, cut and dirty spending time outdoors for the benefit of wildlife. For more about Boone & Crockett New Mexico Records, and Scoring Your Trophy, visit the Big Game Records page on wildlife.state.nm.us.